Friends of Nuansatani.com Black onion (Black garlic) is not a new variety of onion varieties. Black onion is the usual garlic that undergoes fermentation process by utilizing high temperature so as to produce black onion / black garlic (Black garlic). The black onion is made through the storage process of the whole garlic (accompanied by the skin) in a place or room that has been set humidity level and temperature between 60-70 degrees Celsius. Fermentation is done by inserting garlic in a stainless bowl and cover it with aluminum foil paper, then the bowl is placed on the oven and baked using a temperature of 60-70 degrees Celsius. It is mandatory to check every 4 or 5 days to prevent the occurrence of temperature changes. Making this black onion takes a very long time of 90 days. This fermentation process can be shortened to 40 days, but the result will be very different using that processed for 90 days. The fermentation results will be seen gradually. After 10 days the onion has turned brown, 15 days darker, 20 days have become black. After 20-40 days, it can be consumed. But if you want to produce maximum efficacy requires patience processing done up to 80 days. During the fermentation process, there is no need to add other ingredients. The garlic will then oxidize and the color change will over time become black. The finished black onion will have a slightly sweet taste, other than that the texture is softer, soft, savory, and it feels too chewy. Some people believe that black onions contain S-allycysteine ​​in it, as a compound being discussed by experts as one of the natural components that are proven to help prevent cancer and lower cholesterol. Other studies also illustrate that eating black onions will work well to prevent premature aging. 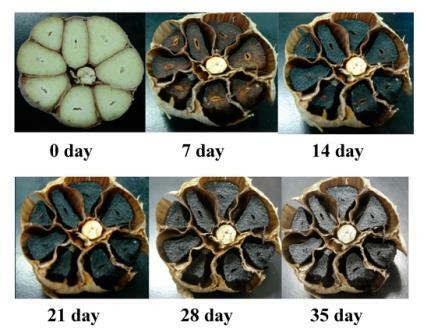 Garlic fermentation results proved to increase flavonoid levels of about 37% and polyphenol levels about 23% after becoming black onion. Polyphenols and flavonoids will work as antioxidants that can prevent cancer and premature aging. Caused by a source of antioxidants that bind to free radicals that cause damage in the body. Keep black onion from the sun. This action is useful to keep the taste of black onion. Make sure the black onion is not in a moist place. Although black onions in Indonesia are still foreign to be heard, but at some luxury restaurants in Jakarta today many have used black onion as a spice for their cooking. 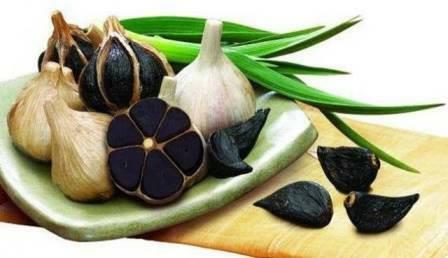 Posting terkait "Black garlic (Garlic) and Benefits for health"